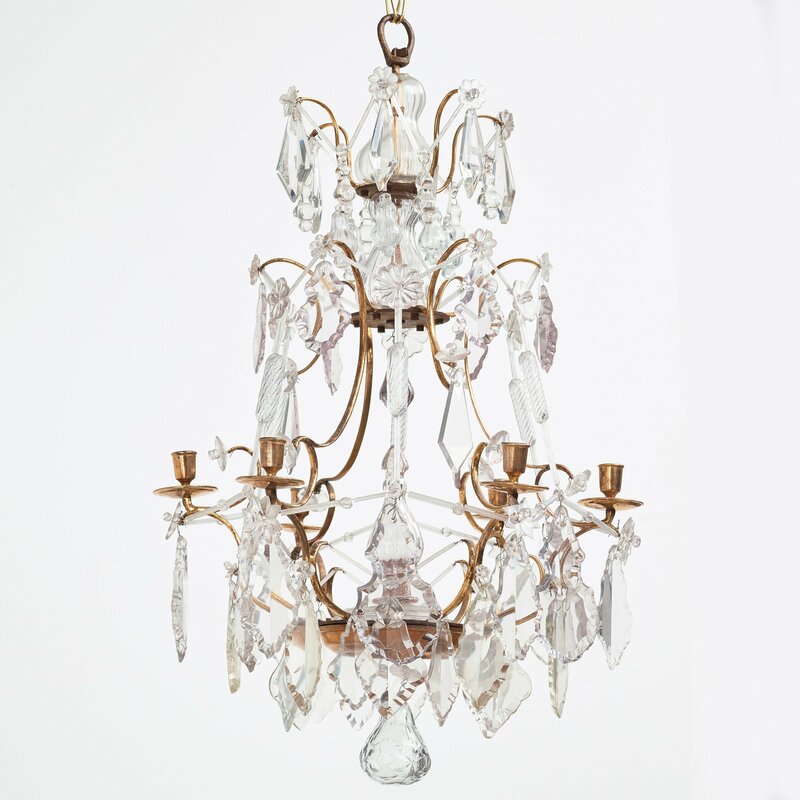 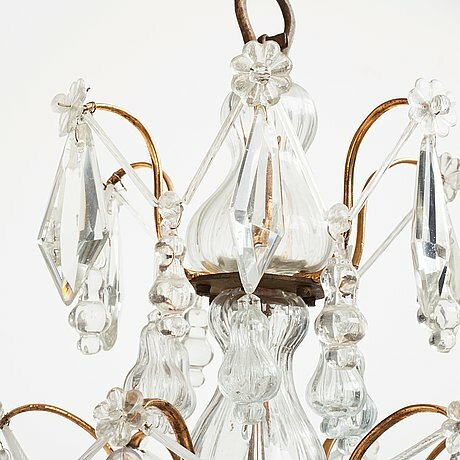 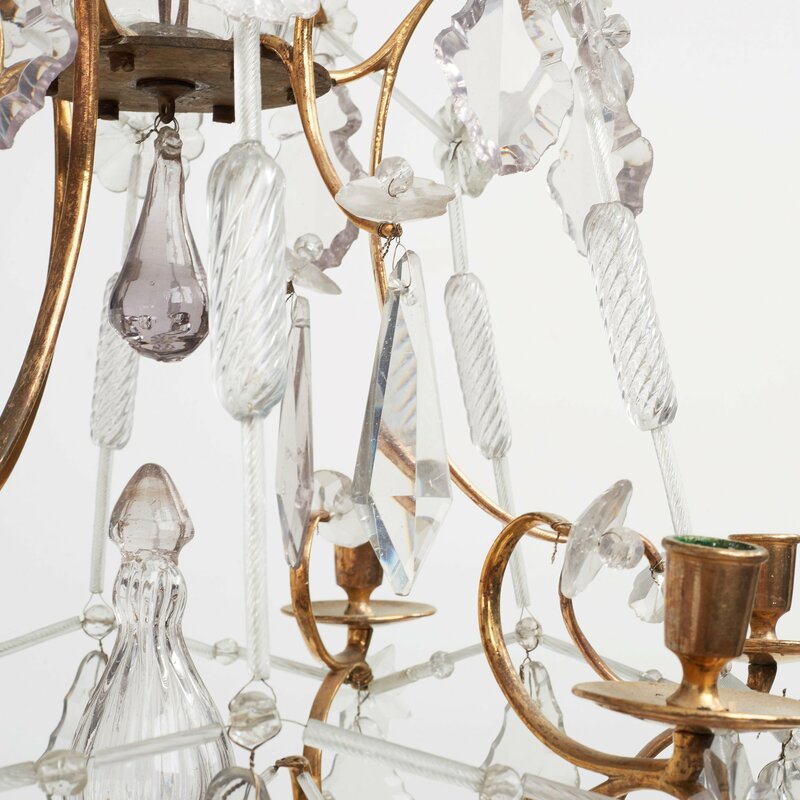 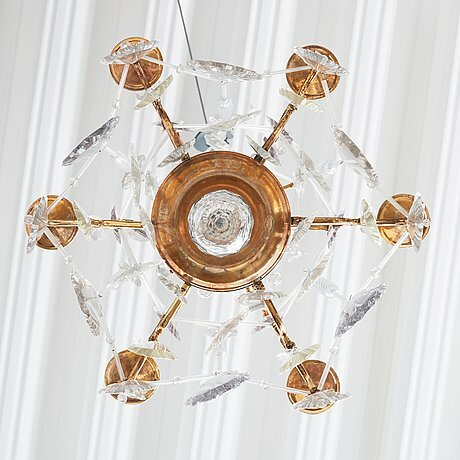 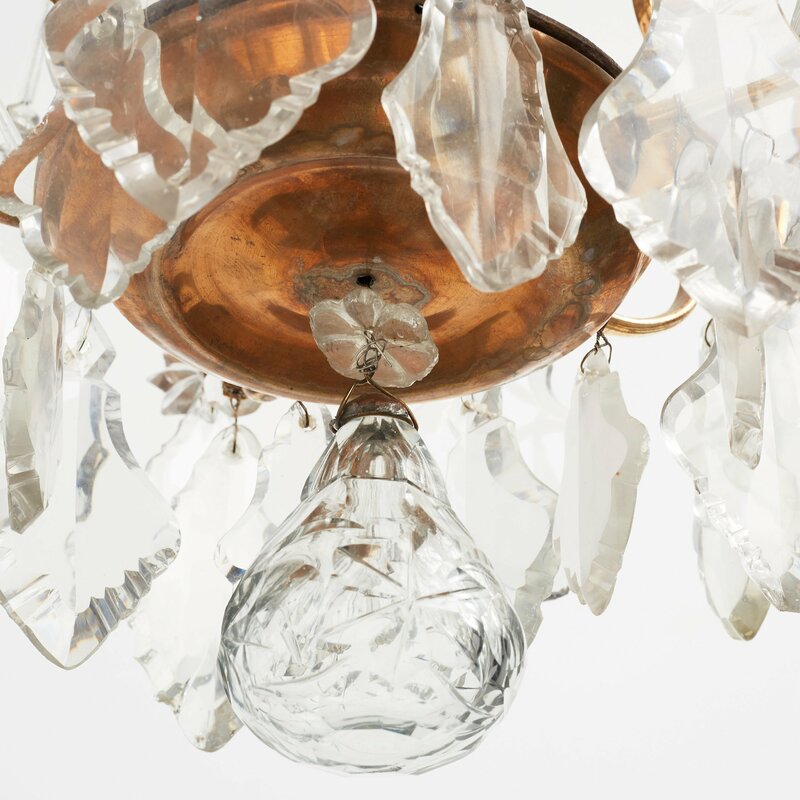 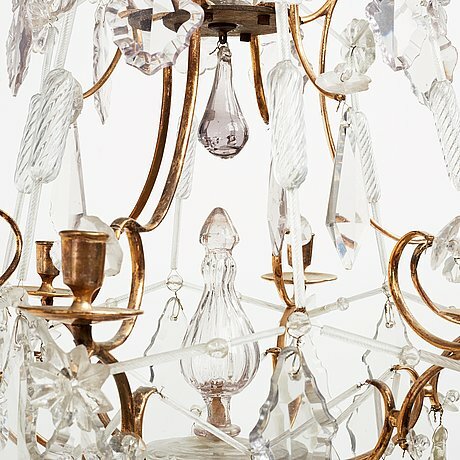 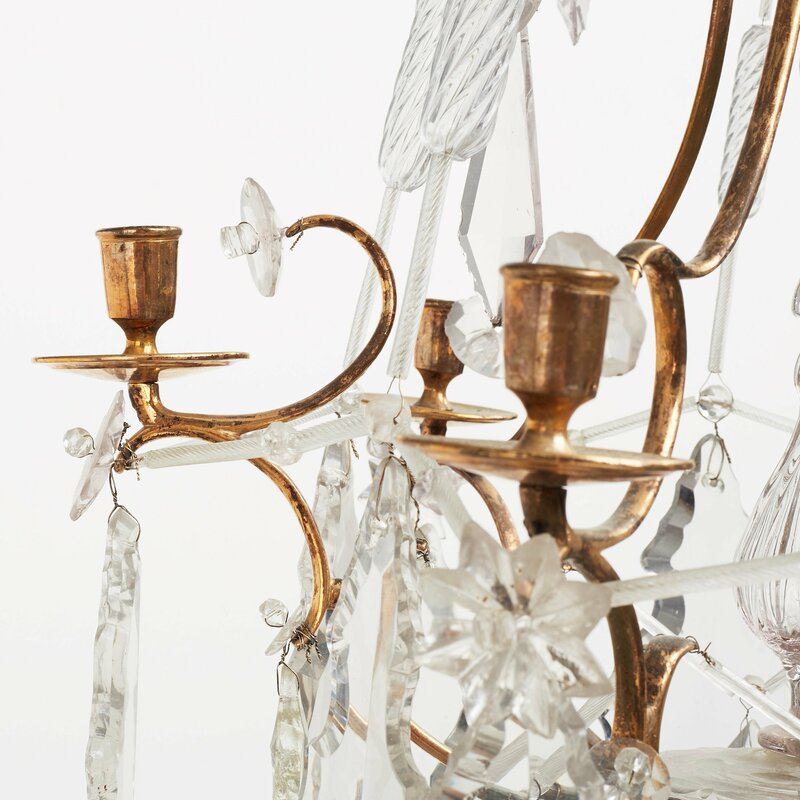 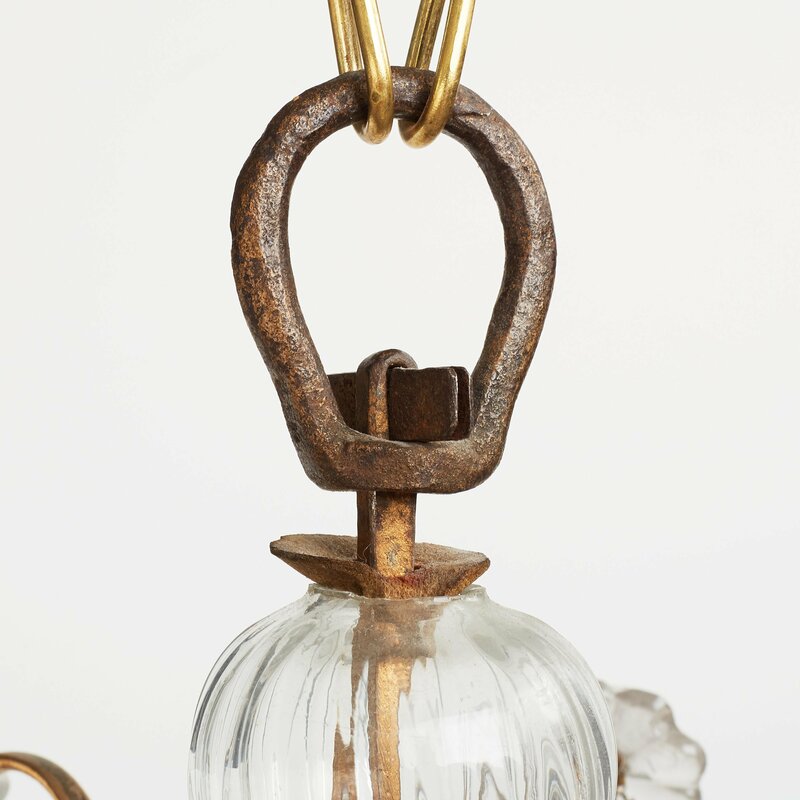 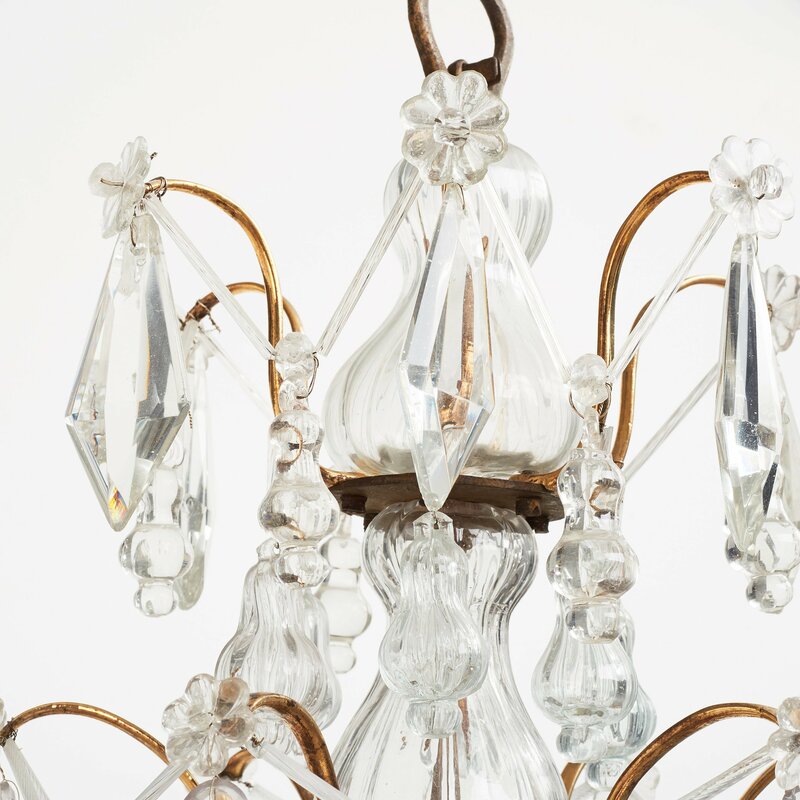 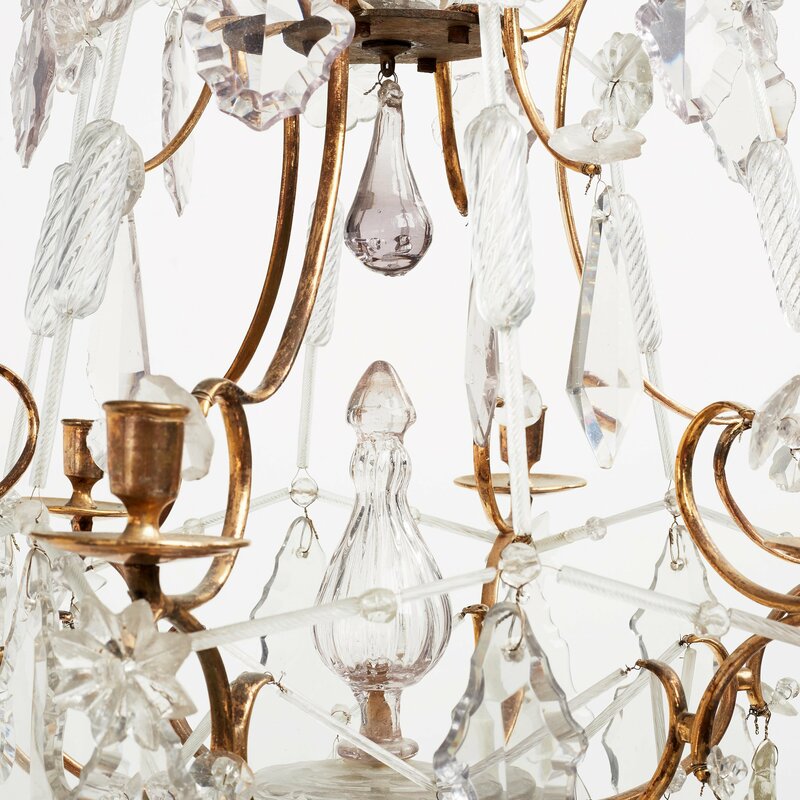 A Swedish Rococo 18th century six-light chandelier. Gilt brass and cut-glass. 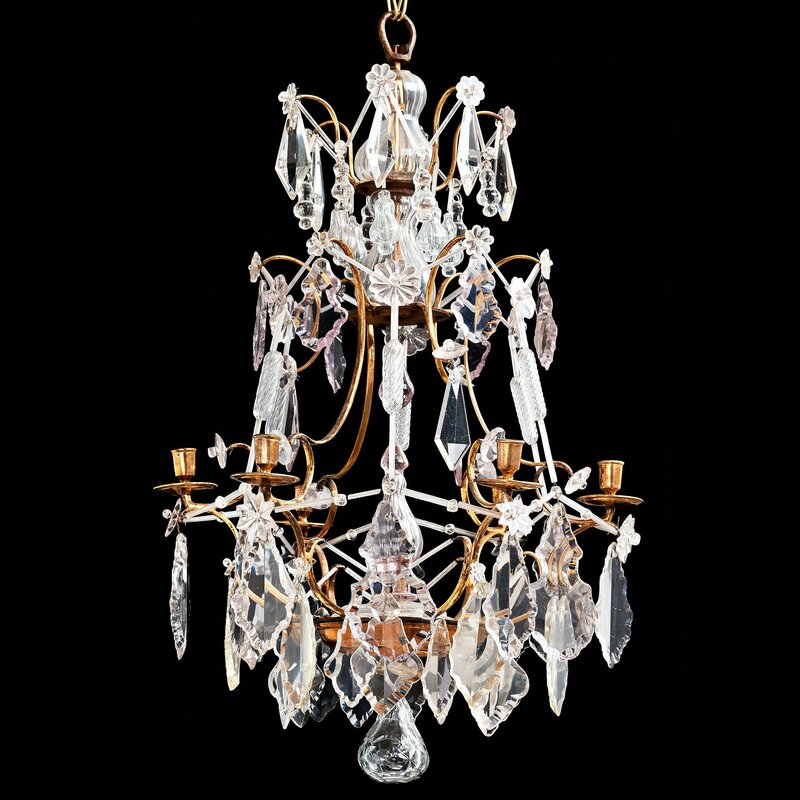 Height 77, diam 46 cm.